Times have certainly changed. People used to be able to do everything themselves, build a home, grow food, and even make their own clothes. But we don’t have to worry about that stuff anymore because innovation has now made nearly everything convenient. Home Mechanical wishes to make your life more convenient by providing you with the best HVAC contractor around. HVAC systems have become much more complicated as time has progressed. They include more parts for efficiency and longevity, and although this is good it means doing the job yourself has become much more of a task. And if you install it incorrectly you could actually harm the machinery, and no one wants to have to spend more money on new equipment. Moreover, trying to find the right heating and cooling equipment takes research and thus more time out of your day. Home Mechanical has the contractors you need. We do not mind answering any questions you may have in order to confirm your trust with us. We also have any equipment you may need for your HVAC system, so that we can do all the work for you. 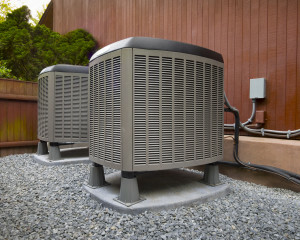 Not only can it be difficult for you to install air conditioning and heating units yourself, but also could be unsafe if you do not have any knowledge on the engine and other aspects of the unit. Therefore, it might not be safe for you to install your own HVAC system unless you are well equipped yourself. Home Mechanical has expert technicians that the knowledge to install whatever you need precisely, efficiently, and quickly. Home Mechanical provides service to a variety of areas including Duluth, Johns Creek, Lawrenceville, Suwannee, and Alpharetta. We are here to work so you do not have too. All you have to do is make the call, and we are there to help. We are so excited to have a new company website! Tell us what you think! At Home Mechanical, we provide residential and commercial heating and air service. This can include anything from new air conditioner installation for your home or business as well as routine HVAC inspection or repair. We provide air conditioner repair or other services to customers in Lawrenceville, Suwanee, John’s Creek, Alpharetta and Duluth as well as the surrounding areas. Give us a call and let us show you our how we’ve earned one of the best reputations in the business.